Anyone who has raised children over the last decade knows something about Pokemon cards. Each card features a fantasy creature drawn in anime style, and each creature is endowed with special powers. Armed with stacks of these cards, kids (like my son) compete with one another in elaborate Pokemon tournaments. I was reminded of Pokemon by Pharmalot's recent posting of email exchanges among Pfizer employees about an anonymous and mythical "Dr. SM." Dr. SM is a cardiologist in New Haven who can be counted upon to say great things about the Pfizer HIV drug Viracept. 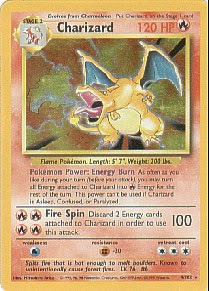 In Pokemon terminology, SM would be considered a "valuable attack card" with a large number of "damage" points (Charizard, above, has 100 damage points, making him highly sought after). This message provides a fascinating glimpse into how most accredited medical education in the U.S. is actually planned. While education grants are said to be "independent," and while the funding pharmaceutical firms are said to have no role in determining content, the reality is that the companies are in control of the marketing message at all times. Ken Johnson, of PHRMA, says that there are "no strings attached" to industry funding of medical education. That's true, as long as the unbiased speaker "provides a very positive supportive message on the use of (fill in blank with name of sponsor's product)". File this particular Pokemon card under: "Twentieth century artifacts to keep out of the time capsule." It's Official: "Maybe One Glass of Wine"
Marjorie Powell, Esq., the head lawyer for PHRMA (Pharmaceutical Research and Manufacturers of America), has just made it official: your drug rep can't buy you more than one glass of wine at the educational dinner meeting you attend. This pronouncement was made today at a Senate Hearing entitled "Paid to Prescribe? 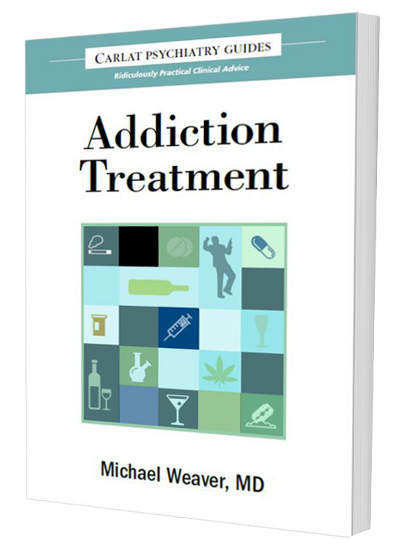 Exploring the Relationship Between Doctors and the Drug Industry." In response, Ms. Powell attempted to deflect the question, but the Senator was relentless: "Do you pay for alcohol?" Finally, cornered, Ms. Powell fumblingly outlined the official policy of PHRMA: "Maybe one glass of wine," she said, and she then admitted that any amount of wine was not ideal for promoting medical education, or for improving patient care. "Much better would be to provide some pizzas for the nurse practitioners, who are the ones seeing many of the patients," she said. And if you want to hear our own AMA's bland party line, cue up the testimony of Robert Sade, the Chair of the AMA's Council on Ethical and Judicial Affairs. This makes for great bedtime reading, since you won't get too far before slow wave sleep kicks in. Poor Dr. Sade had nothing to say for himself. When Senator Herb Kohl, the Chairman of the Committee, asked Dr. Sade how he felt about Minnesota's law requiring disclosure of drug company payments to physicians, he responded, "The analysis of that data is incomplete", and that "the AMA will be developing a position on that soon." Thanks for representing the ethics of America's physicians, Dr. Sade! It's high time that doctors receive recognition for their efforts to partner with the pharmaceutical industry in creating educational programs. The Doctors for Dollars award will be given on a periodic basis to physicians, medical education companies, and pharmaceutical firms in recognition of outstanding achievement in masking promotional activities under the guise of continuing medical education. Because the continuing medical education business is complex, each prize will be awarded to at least three lucky recipients. These include: 1) The pharmaceutical company funding the CME program with an "unrestricted educational grant;" 2) The medical education communication company (MECC) that takes the money to produce the activity; and 3) The physician (or group of physicians) who receives the money from the MECC in order to attach their name to the activity. Sometimes (as is true for today's award) there is a fourth recipient--the institution receiving money in order to award Category 1 credit to doctors who participate in the activity. An apology to the disappointed: There are many, many deserving recipients of the Doctors for Dollars Award. If you are stakeholder in the industry-sponsored CME enterprise, and you are wondering why you haven't received an award, keep checking back to this website. There is a backlog of excellence, and I will be posting new honorees frequently! 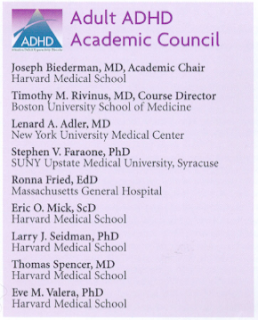 Most Convincing Bogus "Academic Councils"
Shire Pharmaceuticals is currently THE name in ADHD medications, having propelled Adderall and Adderall XR into market leader status among psychostimulants. Now with two new versions of stimulants hitting the market (Daytrana methylphenidate patch, and Vyvanse, the "pro-drug" stimulant), Shire's marketing machinery is kicking it up another notch. They have been spreading cash thickly throughout the world of academic ADHD opinion leaders and have funded a series of CME newsletters produced by Haymarket Medical, with PRA Category 1 Credit being awarded by Boston University School of Medicine. 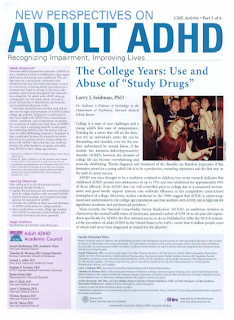 Each newsletter come in a series of six monthly issues, and each is titled with a different academic-oid name, such as "New Perspectives on Adult ADHD," "Substance Use and ADHD," and "Adult ADHD and Common Comorbidities." Each newsletter lists a different "Academic Council" supposedly responsible for creating content. There are several other similar councils. According to Jeff Forster, of Haymarket Medical, these "councils" have no institutional home, although council members are paid to attend a single meeting, during which they discuss what should go into the newsletters. They are also paid for "authorship" of CME articles, although presumably the articles are actually written by medical writers at Harmarket and signed, for a hefty fee, by the identified authors. Such is the blistering pace of new knowledge in ADHD that Shire has funded dozens of these pseudo-newsletters over the past several months. Each newsletter flogs the knowledge-hungry physician with the same rotating series of pearls: 1) Adult ADHD is underdiagnosed; 2) Adult ADHD is a really bad disease, with lots of terrible consequences; 3) A lot of the patients that present with depression actually have ADHD if you dig deeply enough; 4) Stimulants don't lead to substance abuse, in fact they prevent future development of substance abuse; 5) Finally, and most importantly, psychostimulants are incredibly effective for Adult ADHD, so prescribe lots of them. None of these statements are lies, but, like most statements in the world of ADHD, they are partial truths. Many would argue that adult ADHD is over-diagnosed, and that stimulants are over-prescribed in the United States. But this is a view that is censured in these ACCME accredited CME activities. I suspect that the Shire Newsletter Blitz of 2007 will be viewed by historians as one of the more embarrassing collusions between psychiatric academia and the pharmaceutical industry. Thus far, The New York Times has published three letters in response to my op-ed calling for industry-free medical education. Here they are, and here are my responses. Daniel Carlat, in detailing how drug companies have co-opted medical education, says the solution is to revoke the accreditation of any continuing medical education financed by the drug industry (“Diagnosis: Conflict of Interest,” Op-Ed, June 13). How about this? The practice would stop overnight if prominent physicians stopped accepting the exorbitant fees and emoluments the industry offers to participate in these programs. For years, the medical community has turned a blind eye to its complicity in this conflict of interest, comfortably sitting back and watching fingers being pointed at the pharmaceutical industry. I agree with you. Physicians have become increasingly addicted to money from the pharmaceutical industry. There was a time when doctors would give educational lectures out of a sense of academic and civic duty. Now, most grand rounds lectures at medical schools are underwritten by companies, so that the presenter can make his or her requisite thousand bucks. Speaking from personal experience, I know that doctors make plenty of money by treating patients. It's time for a profession-wide detox from industry money. Daniel Carlat (“Diagnosis: Conflict of Interest,” Op-Ed, June 13) is simply wrong when he questions the educational value of continuing medical education programs supported by America’s pharmaceutical research companies. Our voluntary marketing code for members states explicitly that when pharmaceutical research companies provide financial support for medical conferences, control over selection of content, faculty, educational methods, materials and venue belongs to accredited conference organizers and not the companies. Is this really the best response that the pharmaceutical industry can muster? That America should simply trust in Pharma's "voluntary marketing code" to guide the foxes guarding the hen-house? The "no-strings attached" argument was utterly discredited by court documents in the successful suit against Parke Davis (later bought by Pfizer), convicted of illegal marketing of Neurontin for off-label uses. I suggest you read the fascinating article from Archives of Internal Medicine here. Parke Davis provided educational grants to several "independent program organizers," as you call them. The excerpt below from that article may give you a better sense of how well your voluntary code has worked. "Teleconferences linking paid physician moderators with small groups of physicians were a method for reaching prescribers. Although these teleconferences were titled as educational events, an internal memo about 1 set of 143 teleconferences on epilepsy management noted that "the key goal of the teleconferences was to increase Neurontin new prescriptions by convincing non-prescribers to begin prescribing and current prescribers to increase their new prescription behavior". In some cases, Parke-Davis helped establish the agenda and was able to surreptitiously monitor teleconferences in progress. In 1 set of 39 calls organized through a medical education and communications company to discuss unapproved uses of gabapentin, an agenda was prepared for physician moderators directing them to discuss such topics as "how Neurontin evolved into a first line therapy option in your practice". Mr. Johnson, I look forward to hearing more about how you expect us to trust your industry to police itself in the face of its history of corruption. Re “Diagnosis: Conflict of Interest,” by Daniel Carlat (Op-Ed, June 13): The Food and Drug Administration considers lectures and honorariums paid directly by pharmaceutical companies as promotion, not education. When an activity is developed and certified by an accredited continuing medical education provider (a for-profit or nonprofit organization, university, hospital or medical society), it must adhere to unyielding criteria and standards. The standards are even more rigid when a pharmaceutical company provides the grant financing. The company can have no influence on the content or selection of faculty. I'm not quite certain why you bothered to write this letter. We all understand that there are regulations in place. However, we have seen over and over again that both the sponsoring companies and medical education companies are willing to break the rules in order to make more money. Rather than simply parroting the list of regulations, I would have preferred an explanation of why your own organization has chosen to produce educational programs that are entirely funded by drug companies? If you're looking for an icon of the excesses of academic psychiatry's relationship with the pharmaceutical industry, Joseph Biederman is on most people's top two list (he competes with Charles "bling bling" Nemeroff for this position). Biederman-bashing has become high sport, the latest installment being a fine piece in the Boston Globe by Scott Allen. While Dr. Biederman may be no ethical guiding light, the focus of most of this attention has been misplaced, in my opinion. Virtually all of this negative coverage has attacked his research on the treatment of bipolar disorder in very young kids. The implication is that he is hell-bent on drugging 4 year-olds, and not because he wants to help them, but because the drug companies pay him to do it. He has even been blamed for Rebecca Riley's death, because her treating psychiatrist read some of his articles. Biederman and his colleagues at Mass. General identified 31 children, aged 4-6, who met DSM-4 criteria for different types of bipolar disorder. They randomized these kids to treatment with either Risperdal or Zyprexa. The kids improved significantly on all outcome scales. Side effects included 5 to 7 pounds of weight gain in both treatment groups, and prolactin elevation in the Risperdal group. The study was not even funded by industry, which is impressive for a department in which psychiatrists can barely find the water fountain without industry support. The point is that if you are going to be picking on Biederman, this study is not a great basis for it. "Biederman dismisses most critics, saying that they cannot match his scientific credentials as co author of 30 scientific papers a year and director of a major research program at the psychiatry department that is top-ranked in the "US News & World Report" ratings. The critics "are not on the same level. We are not debating as to whether [a critic] likes brownies and I like hot dogs. In medicine and science, not all opinions are created equal," said Biederman, a native of Czechoslovakia who came to Mass. General in 1979 after medical training in Argentina and Israel." You can almost hear the great wincing sound emanating from the media relations staff at Mass. General. Believe me, the MGH child psychopharmacology department deserves to slapped around for shady practices in industry-funded CME, and I will have plenty to post about this in the future. But the relevant diagnosis of that story is ADHD, one that is much more lucrative for hired guns than pediatric bipolar disorder. Most of us have an intuitive feel for when we are being hoodwinked. Industry-funded CME programs are a case in point. It takes most doctors about 60 seconds of sitting through an industry-sponsored symposium or reading a ghost-written CME article to guess the sponsoring company. Some of you may want to improve your nose for bias, and here are my top three tips for determining whether a talk or an article is so hopelessly promotional as to be better suited for the trash-heap than for your fertile brain. 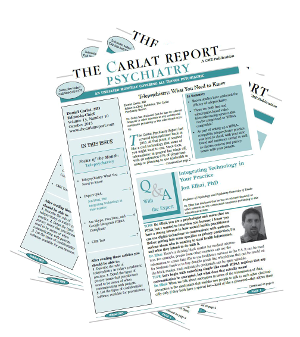 These tips are derived from a longer article published in The Carlat Psychiatry Report in 2004, which you can access here. 1. Determine the funding source. Nothing in medical education is truly free. If it's free to you, somebody else is footing the bill, and it's usually a pharmaceutical company. Funding sources are listed in small type somewhere in the first couple of pages of CME articles. Typically, the statement is a variation on “supported by an unrestricted educational grant from ....” While the term “unrestricted” implies that the company had no strings attached to its money, the reality is that any physician or MECC (medical education communication company) who receives drug company funding knows that their lecture or article will be closely perused by those with the cash, and that future “gigs” will be dependent on whether the company feels their product is shown in a favorable light. 2. How is the topic framed? Companies will fund only those educational programs that play to their strengths. For example, at the 2006 annual meeting of the American Psychiatric Association in Toronto, several industry-sponsored symposia covered antipsychotics. The recently completed CATIE trial highlighted the effectiveness of Zyprexa, and thus it is not surprising that the symposium sponsored by Eli Lilly was the only industry symposium focusing explicitly on the effectiveness findings of CATIE (Symposium 21, “Effectiveness of Antipsychotic Drugs in Chronic Schizophrenia: Complete Results of the CATIE Trial”). In this symposium, none of the abstracts focused on metabolic side effects, even though this is recognized as the major liability of Zyprexa. By contrast, in the comparable symposium sponsored by Pfizer (Symposium 9, "Differentiating Atypical Antipsychotics in the Treatment of Schizophrenia: From Theory to Practice") the discussion of the CATIE study did not mention effectiveness findings (Pfizer's Geodon performed poorly in this regard), but extensively discussed the metabolic and weight gain liabilities of its competitors. 3. Which studies are featured? GlaxoSmithKline just released a web-based CME slide show entitled, "Improving Outcomes in Patients with Bipolar Disorder: Exploring the Distinction Between Efficacy and Effectiveness," which you can view here. Terence Ketter of Stanford gives the talk, but all the content was created by medical writers paid by GSK (via an educational grant to that well-known academic institution, The Center for Medical Knowledge, LLC). Download their slides and peruse them. Beginning on page 21 of the workbook, there are some slides focusing on treatment of bipolar disorder. 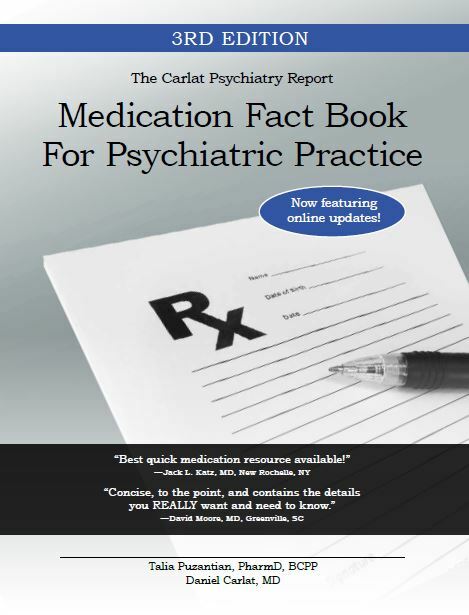 A total of three studies are highlighted: #1: An unpublished study showing that Lamictal resulted in longer recovery in bipolar disorder than atypical antipsychotics; #2: A NEJM study showing that adding an antidepressant to a mood stabilizer doesn't help in bipolar depression; and #3: A small published study showing a numerical (but not statistically significant) advantage of Lamictal over inositol and Risperdal in recovery from bipolar depression. That's it, people: three studies, that's all we get. And each study endorses the value of Lamictal, directly or indirectly. Unmentioned, of course, is the fact that Lamictal has been tested for bipolar depression in eight studies, and that it failed to separate from placebo in seven of them. The seven negative studies have never been published, but the results are available to the diligent by searching through GSK's clinical trials register here. So now you have all the right tools. Get out there and be a bias-buster! I decided to start this blog in order to follow up on some buzz generated by a recent New York Times op-ed in which I recommend that industry-sponsored CME activities no longer receive accreditation from the ACCME. I've received dozens of responses, mostly supportive. A recurring theme of these comments is: don't blame only the drug companies, blame the doctors too. The Times printed this letter to the editor saying exactly that. It's true, everybody who stands to gain is complicit in this enterprise. The companies get a uniquely effective marketing vehicle, the medical education communication companies (MECCs) get millions in educational grants, the ACCME gets funding to continue its mission, hired-gun physician speakers get cash, prestige, networking opportunities, impact, etc...., and the doctors who attend the programs get free education. Who in their right mind would want to spoil the party? Our patients, for one. Industry-supported CME always downplays the dangers of any product being sponsored. Sometimes, these dangers are trivial, as in the case of SSRIs. Other times, these dangers include diabetes, obesity, and high cholesterol, as in the case of Zyprexa. The point is that we can never trust commercial CME, because of its inherent conflict of interest: it is education designed to encourage the audience to use more of the sponsor's product. Please join me in my crusade. If you have seen any examples of obvious commercial bias in educational activities, let me know. Together, we can sniff out the worst offenders, and report them to the ACCME, to the Senate Finance Committee, which released this report , and to whoever else has an interest in improving the ethics of medicine in America.